Cancun Airport Transportation at the Lowest Price! We as Cancun Airport Transfers provide a completely private and safe transportation service from Cancun Airport to any hotel in the Cancun Hotel Zone and the Riviera Maya with the lowest prices guaranteed. Our extensive fleet includes vehicles of the most recent models. In Cancun Airport Transfers, we also provide comfortable travel logistics for business transportation. All the drivers in our team are professionals who are qualified to provide you the best experience while you enjoy your holiday. It really doesn't matter if you are with your friends or family, or even if you are on a business trip, you can be sure to receive the best service while traveling with us. You can book your Cancun Private Transportation online in just a few minutes. We provide reliable and safe Cancun Transportation service to any hotel in Cancun and the Riviera Maya. On your arrival at the Cancun Airport our vehicle will be waiting for you so that you do not have to waste your valuable vacation or business time. All our airport transfers vehicles are well maintained, private vehicles with professionally certified drivers. 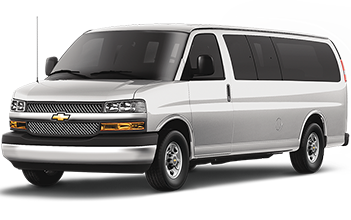 The Cancun Airport Private Transportation Service is aboard a Van Express, without rows and waiting time. The vehicle will leave the airport as soon as you’re ready, and will be exclusive to you and your friends or family. The units have a maximum capacity of 8 passengers and is a nonstop service to your destination. 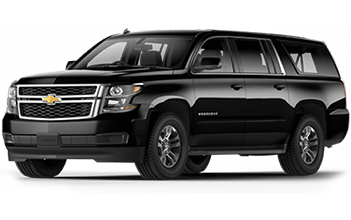 The Cancun Airport VIP Transfer, is aboard a luxury Suburban and give you more confort and privacy. The vehicle has a maximum capacity of 5 passengers, and includes wáter bottles for all passengers. 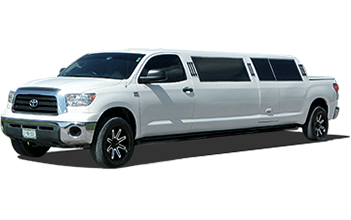 The Cancun Airport Limo Service is provided on vehicles that ensure confort and luxury that you deserve, whether aboard a Toyota Tundra Limo or a Toyota Sienna Limo it’s one of the best transportation service. Once you have collected your luggage, you can proceed to the outside reception area where a member of our team will be waiting for you with a display sign with your name on it. Our Cancun Airport Transfers service will take care of all your transportation needs. For your own convenience and safety, it is advisable to book in advance your Cancun Airport Transportation service so that you do not have to carry large amounts of cash to pay for it, it’s very easy to book your Cancun Airport Transfer service online!. All our Cancun Transfers services are in private vehicles, in the shared service you have to share the trip with other passengers, the private service is the most convenient and comfortable way to get from the airport to your destination. Opting to take a taxi at the airport should only be reserved for emergencies, as their rates are comparatively very expensive. When you book for your Cancun Airport Transfers through us you can be assured is the best deal for your travel in Cancun. We take great pride in providing a super-efficient, safe, and affordable airport transfers service for all the visitors to Cancun. Our very convenient online booking and other options make it very easy for you to book your Cancun Transportation so that you can travel with a peace of mind. You can choose to book a one-way transfer from the airport to your hotel, or book a round trip travel to ensure your transportation to return to the airport when your holidays have finished. All our vehicles are of the latest models, very well maintained to assure you have a safe and comfortable travel. You will not have to worry about breakdowns or bumpy rides. We are very meticulous in how we maintain our vehicles and do not compromise the safety of our clients. Until this point, our team of professional drivers will make sure your trip with us will be pleasant and your time in Cancun will be filled with great memories and wishes to come back. Our Cancun Transportation fleet consists of a wide variety of vehicles from Suburbans LTZ, Chevrolet Van Express, VW Crafter, and luxurious Limousines so that we can arrange Cancun Transfers depending of your needs. Our expert drivers are very familiarized with the local streets of Cancun and the Riviera Maya to assure safe and convenient journeys. What is Better, the Cancun Airport Shared Shuttle or Cancun Airport Private Transportation? With us, booking a Cancun Transportation service for up to 7pax, you will only have to pay $4.28USD per person for a one way trip! Rater than the shuttle service you would pay more than $10USD per person and loose many of your precious vacations time. Do we need to wait more customers fill the vehicle to leave the airport? There are Cancun Airport Luxury Transfers? The prices of the Cancun Transportation services, is per person or per a vehicle? a. The price it’s per vehicle, not per person. We are committed to your comfort and safety, that’s why all our services are private. Enjoy the best service just for you. Don’t waste time waiting for other customers, we will be ready on your arrival at the Cancun Airport. The first-class service you deserve. We have the lowest price on internet guaranteed. Offering you a high quality service, stop looking and just book now and save money! Cancun Airport Transfers is a leader in the transportation service from the Cancun Airport to any hotel in Cancun (Hotel zone and downtown) and the Riviera Maya (Puerto Morelos, Playa del Carmen, Cozumel, Puerto Aventuras, Akumal and Tulum Downtown or Hotel zone) on the easiest way, saving time and money. Copyright © 2019 - Cancun Airport Transfers. All rights reserved.